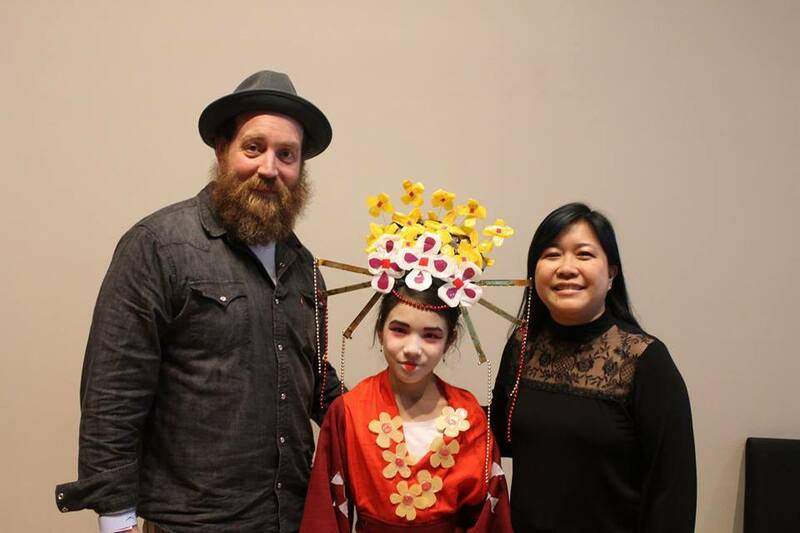 Fourth Grade student Olive Harrington recently participated in the 6th annual Curbside Couture recycled fashion show at the Clinton Presidential Center in Little Rock. This completely "green" show is the largest recycled fashion show in Arkansas. 150 participants ranging from 3rd-12th grade were accepted to showcase their artistic designs. Mrs. Bryan worked with Olive as her mentor and helped her plan, design, and create her dress. Olive's dress was inspired by her Chinese heritage and the fashion of Chinese opera singers. She assembled her dress out of old tablecloths and curtains, plastic solo cup lids, plastic tablecloths, cardboard, a Chinese calendar, and the plastic from potato chip bags, Olive and Mrs. Bryan worked on her dress for over a month.